The universal machine tool of multiaxis drilling machine and multiaxis tapping machine is for the combination machine tool of multiaxis drilling machine and multiaxis tapping machine. It can be applied to a certain type of processing of products of different sizes and shapes. 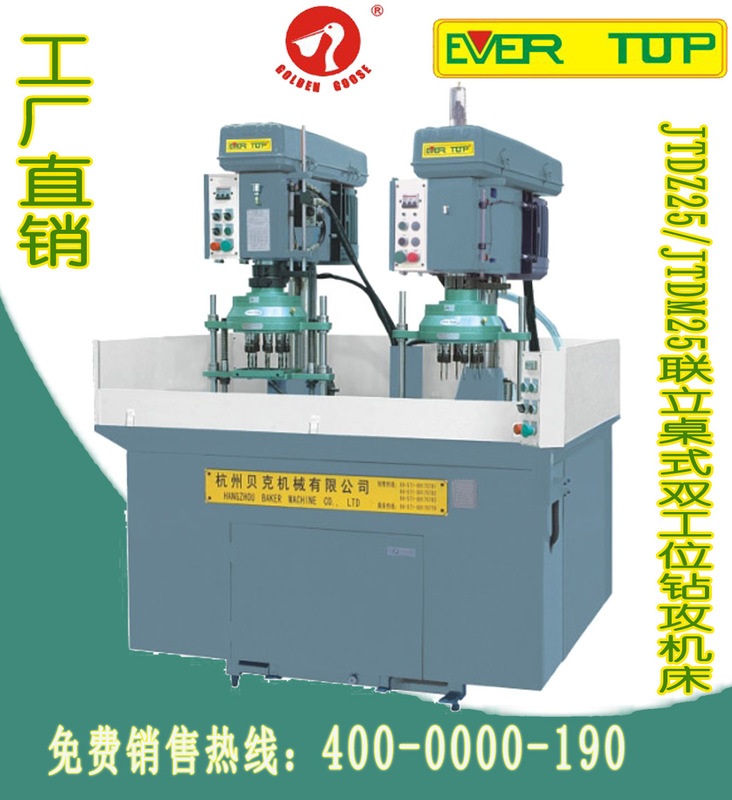 The combination machine tool is a machine tool for a specific product. The common parts of the combined machine tools for multi-axis drilling machines and multi-axis wire tapping machines are: bed body, side base, base(including middle base and column base), column, power box, power slide, multi-axis machine, various power first class. It is used in a number of multi-position combination machines that are processed in sequence. It also has a moving table or a rotary table. Power box, various process power head, power slide is a combination of machine tools to complete the main or feed motion power component. It is the most basic part of the general part of the combined machine tool. There is also a power head that can simultaneously complete the cutting main motion and feed motion. The power parts that can only complete the feed movement are called power slides. The main pumping box fixed to the power box is used for layout. The stiffness of the combined machine tools of the multi-axis drilling machine and the multi-axis tapping machine and the accuracy maintenance between the parts are mainly guaranteed by these parts. Mobile workbench or rotary workbench is one of the main components of multi-position composite machine tools. It plays the role of converting work position and discovering workpiece. Therefore, the repeated positioning precision of their linear movement and rotary motion directly affects the machining accuracy of the composite machine tool. In addition to the above main components, the combined machine tools also have various control components, mainly to control the machine tools in order to ensure that the machine tools work in accordance with the prescribed procedures. General components of combined machine tools. Most of them have been made into national standards by the former Ministry of Machinery Industry, and according to the nominal size, main parameters, exchange sizes, etc. specified in the standards, there are supporting relationships between various general components. In this way, users can use common components according to the inches, shapes, and technical requirements of the processed parts to form different types of multi-axis drilling combination machine tools, multi-axis wire combination machine tools, and multi-axis. 2, the productivity of combined machine tools is high. Because of the centralized process, multiple knives, multiple work spaces, and supporting multi-axis devices can be processed automatically at the same time.